Funky Lunch were asked by Actimel to help promote their new range of kids yoghurt drinks by designing a selection of nutricious and fun dishes for breakfast, lunch and snack time. As part of the project, we got to work with the very lovely Sophie Ellis-Bextor and had great fun shooting some 'how to' videos that we'll post on here as soon as they are available. 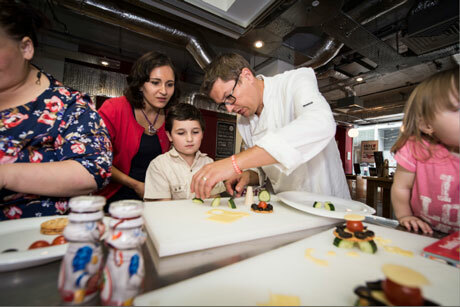 We also popped to central London to run a Creative Food Workshop for a select group of bloggers, who, along with their children, got the chance to try the new Actimel For Kids drinks and get creative in the kitchen by following along with our chief food artist Mark. 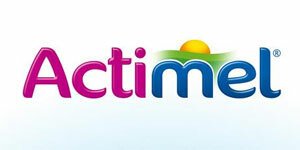 You can visit the ActimelUK Facebook page to find out more about their range of yoghurt drinks and see more of our 'out of this world' recipes.